If you haven't been using digital patterns or paper packs for your Silhouette projects, you're missing out. 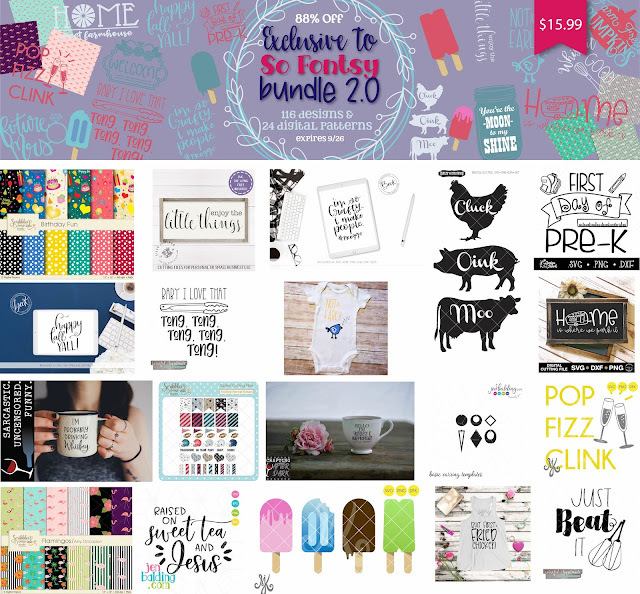 It's not only easy to use them, they can take your custom paper projects to the next level. Usually digital patterns will come in a pack. For example this Flamingo Digital Pattern/Paper Pack by Scribbles Ink Digital Studio included in the Exclusive to So Fontsy Bundle includes 2 sets each of 12 different coordinating patterns. Once you download (and unzip) onto your computer you can quickly bulk import the digital patterns into Silhouette Studio. 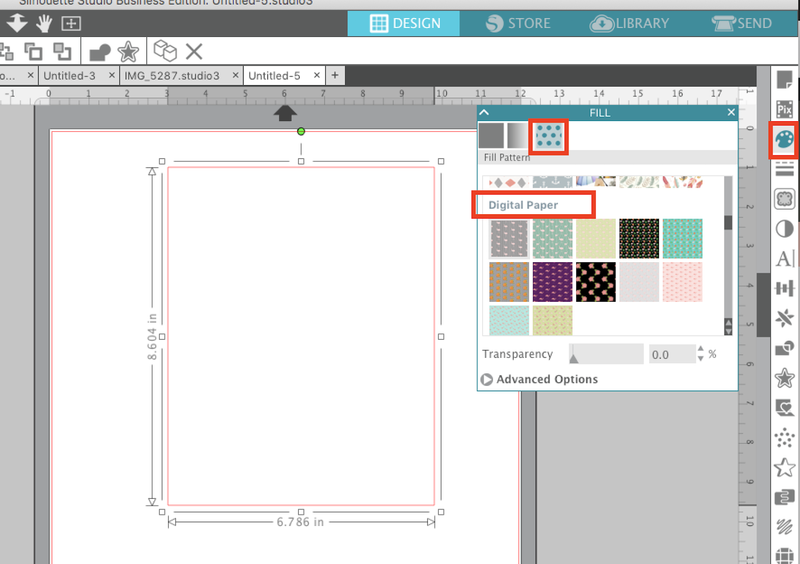 In order to import custom patterns to your Fill Patterns library you must have Silhouette Studio Designer Edition or higher. 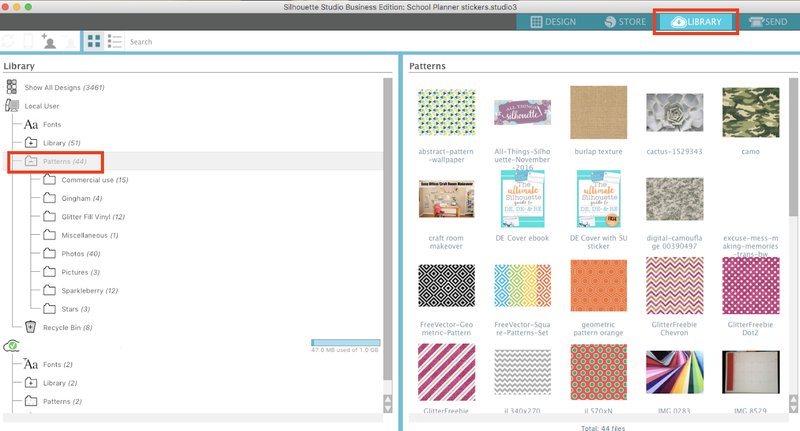 Start by opening your Silhouette Studio Library and expand the Local User folder so you can see your Patterns folder. 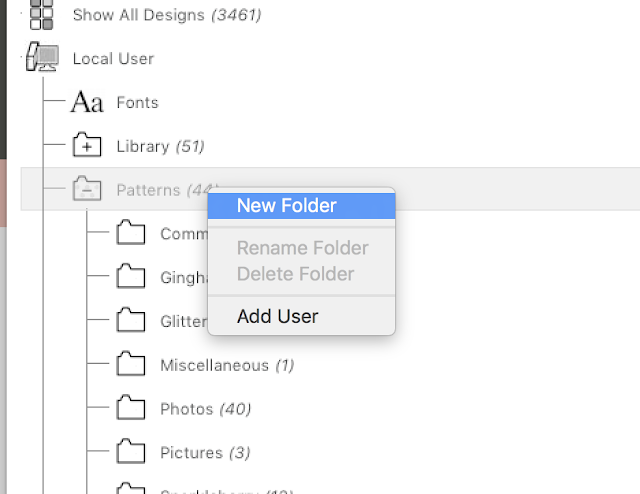 You can import right into this main folder or you can organize your custom patterns in Silhouette Studio by creating a sub folder. 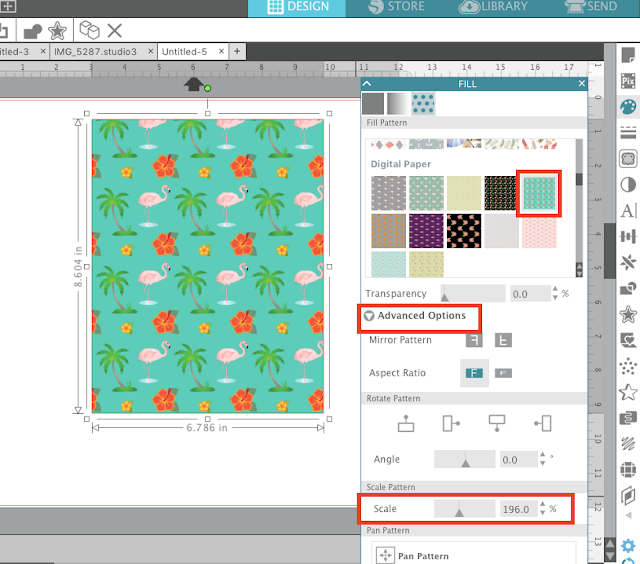 You can follow this Silhouette tutorial to create sub folders for digital patterns if you need in depth steps. 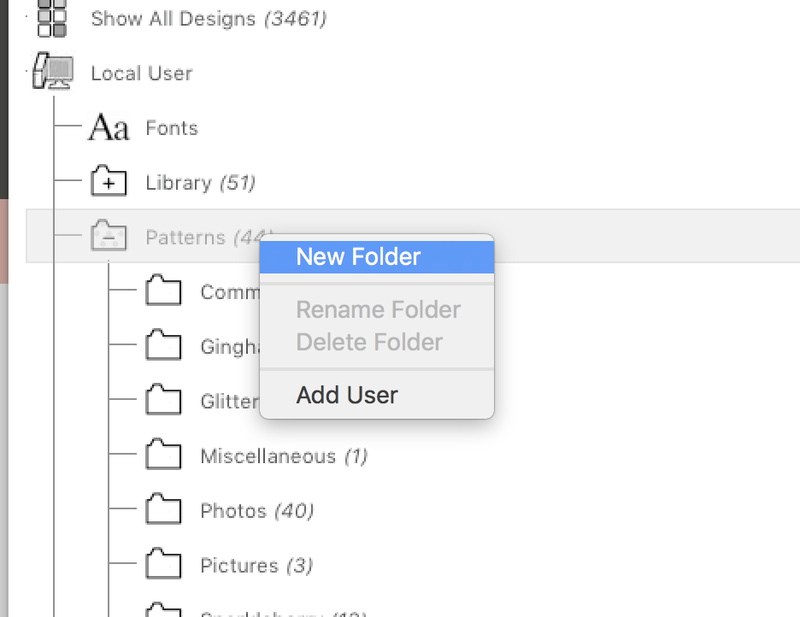 Basically Right Click > New Folder > Name folder. Find the digital patterns on your computer and select them all by holding down shift and clicking on each - they should either be JPEGs or PNGs. 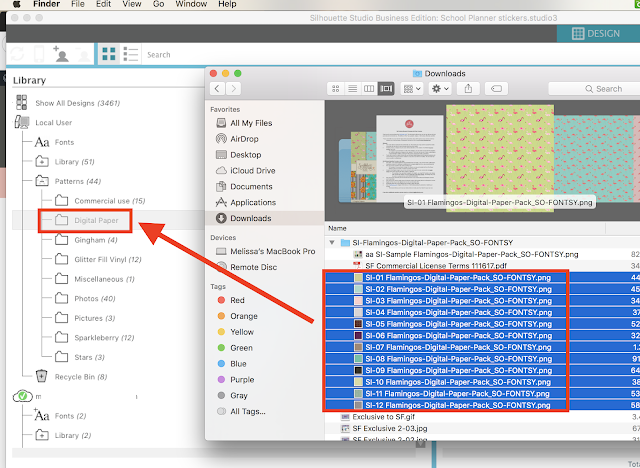 Do not select the folder they are in - ONLY select the PNG/JPEG files. 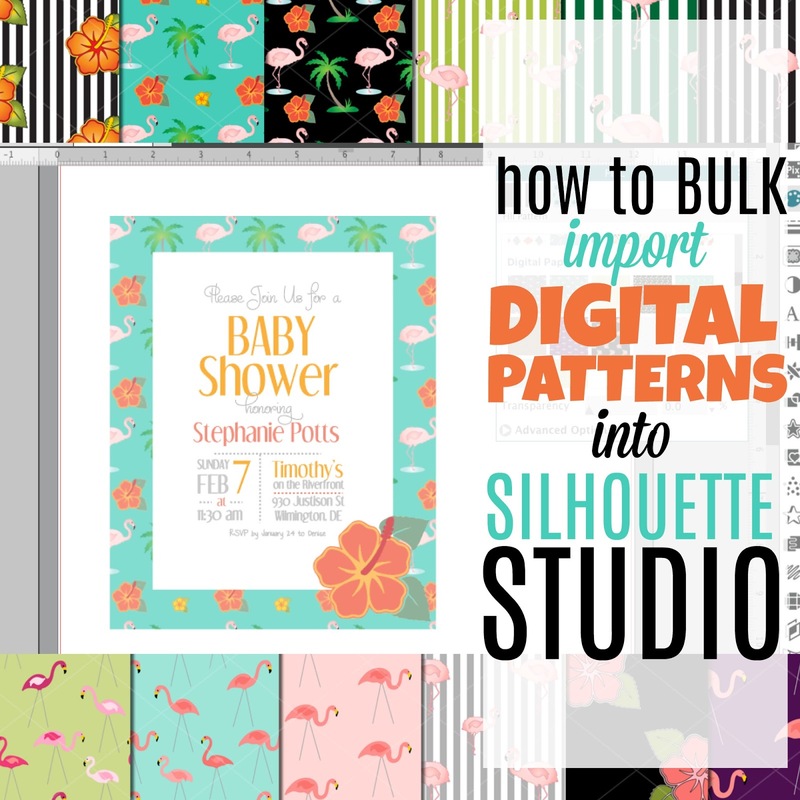 Use your mouse to drag and drop them all into the Silhouette Studio Patterns folder or sub folder where you want them to go. After processing you'll see their preview thumbnails in the folder where you dropped them. Now go back to the Design tab and open up the Fill panel. The third tab is the Fill Pattern tab and it's where you'll find your custom patterns. The default patterns are at the top, but if you scroll down you'll find all of the custom digital patterns you have imported and added to the Local User Patterns Folder. 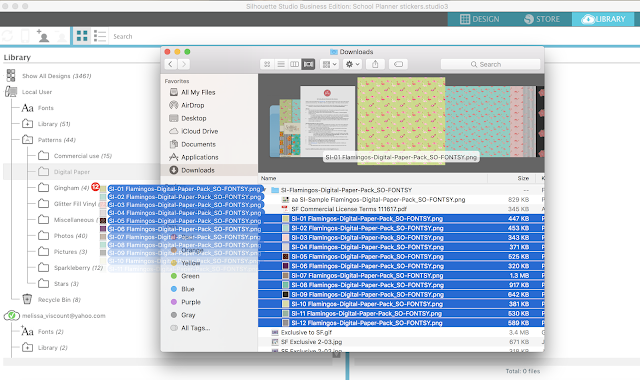 If you created a sub-folder - like I did for "Digital Paper" - you'll find all of the patterns that you bulk imported in that section. These patterns can now be used to fill shapes and designs in Silhouette Studio. For example you could draw out a rectangle using the Draw a Rectangle tool and fill it with the digital pattern to create an invitation, card or tag. You could use these for stickers or printable vinyl even! Get creative! Click Advanced to scale or pan the pattern. I love this flamingo pack..and you can see changing the fill is as easy as clicking on another pattern. These are great because they all coordinate! Once you're finished designing with your pattern fills you can move forward with either a print (full sheet) or a print and cut! 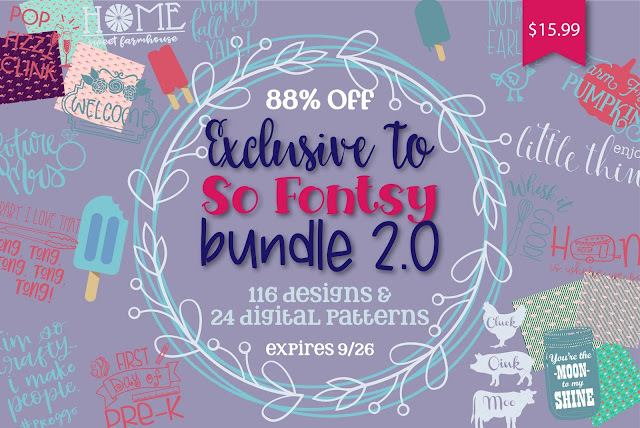 Now that you know how to use digital patterns and paper packs grab all 24 plus the 116 commercial use cut files in the Exclusive to So Fontsy Bundle - you'll only find them on So Fontsy and at 88% off - (just $15.99) for a limited time!